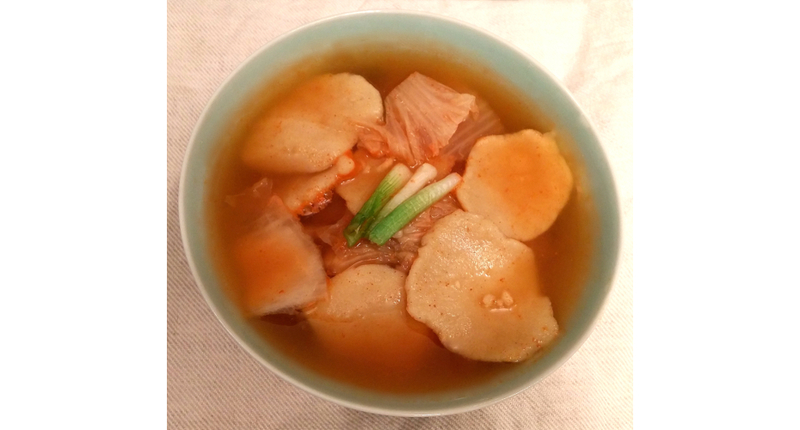 Unlike most Korean noodle soups, sujebi is fast and inexpensive to make. Because it’s not at all fancy it’s not the kind of dish you’ll find in Korean restaurants. Fortunately, it’s easy to make at home. *To make this recipe gluten free, I used gluten-free flour. It turned out fine. Combine the flour and 1½ c. water, adding the water about ¼ c. at a time, until the mixture clumps together in one piece. Knead into a dough. Form into a ball and wrap in plastic and refrigerate for about an hour. Bring water to a boil in a pan and add garlic. 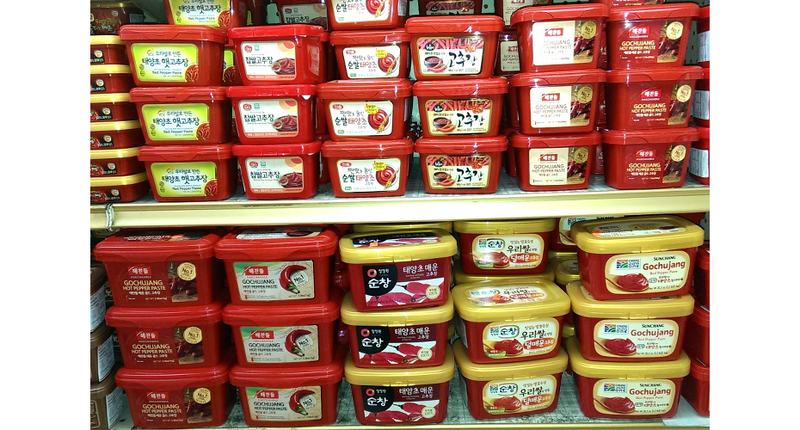 Add the red pepper paste, kimchi and kimchi juice to the boiling water. Rip the dough into thin pieces roughly 1½ inches in size. 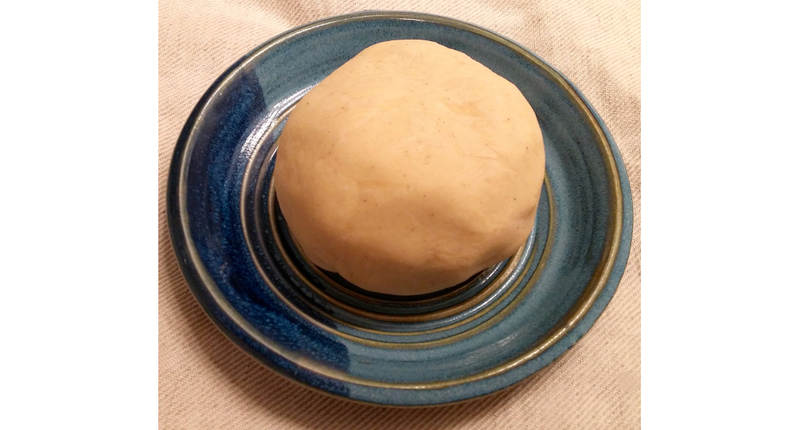 Press the dough with your thumb to flatten into a disc shape and add to the boiling stock. When the dough begins to float and becomes slightly translucent on the edges (~5 to 7 minutes), add the scallions. Remove pan from heat and add salt. Which gluten free flour did you use? A readymade mix. I believe it was Bob’s Red Mill GF all-purpose flour.